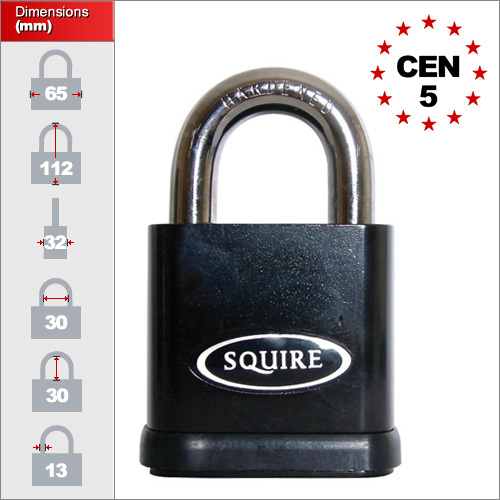 Design to resistant even the toughest of attacks, the padlock boasts an impressive CEN grade 5 rating. For more information on these test grades please see our CEN insurance page. The body is made from hardened steel electophoretically coats to provide excellent resistance to the weather. These locks have been tested to over 200 hours of salt spray and therefore ideal for outdoor use. Please note however this is not a marine grade padlock. Please see our weatherproof range for these. Each padlock comes with 2 keys included. Many insurance companies require padlocks which are of a CEN Grade of 4 or higher. 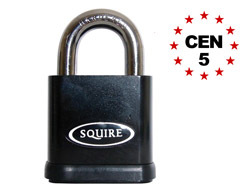 This padlock afford a rating of 5 and is suitable for almost all insurance company requirements.